Comsec Training deliver the Responsible Conduct Gaming (RCG) in Sydney. Please bring along Photo ID. People doing this course will get a Temporary NSW Office of Liquor, Gaming, and Racing (OLGR) Certificate which must be taken to Australia Post so you can order the NSW Photo ID. You also get a certificate in a nationally accredited unit of competency - Responsible Gambling Service SITHGAM201. This course covers the knowledge and skills needed for the responsible conduct of gambling under State/Territory legislation. All staff working in gaming areas of hotels and registered clubs must finish this course. The RCG course is approved by the New South Wales Office of Liquor, Gaming, and Racing (OLGR). Please arrive 15 minutes before the start time. The impact of problem gambling on families, individuals, and the community. NSW Gaming Machines Act 2001 & Gaming Machines Regulations 2002. How these laws affect employees of licensed premises. 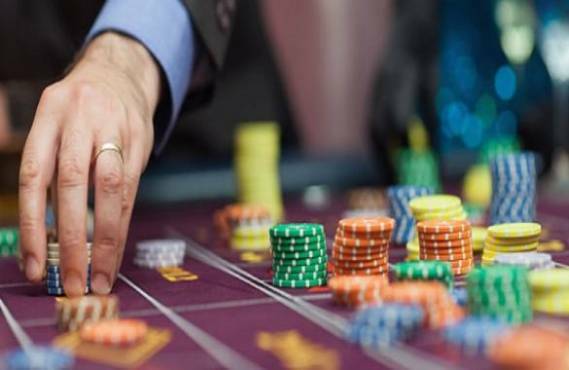 Harm Minimisation provisions of the gambling laws. Legislative provisions for responsible gambling provisions. Minors & proof of age. Methods for preventing underage gambling. The importance of advising patrons of available assistance for problem gamblers. Implementation of House Policies and Industry Codes of Practice. An understanding duty of care. Appreciating the benefits of conducting gaming in a responsible manner. About the industry, legislation and employer expectations. RCG - Responsible Conduct of Gambling -Training Course Outcomes. Once finished, you’ll get a Temporary NSW Office of Liquor, Gaming, and Racing (OLGR) Certificate to take to Australia Post to order the NSW Photo ID. You also get a certificate in a nationally accredited unit of competency - Responsible Gambling Service SITHGAM201. Photo ID (i.e. Passport, drivers license, Photo ID Card or Student Card). Duration: 6 hours and 30 minutes for the full course. You must book at least 24 hours before it starts. Lidcombe Training Centre. 46 Joseph Street, Lidcombe. NSW. 2141. Phone: (02) 9643 5911. Fax: (02) 96435966. Accepted payment methods: Visa, MasterCard, BankCard, Cheque, Cash, and EFTPOS.